Leadership Risk - Training Game Identifying risk-taking ability. 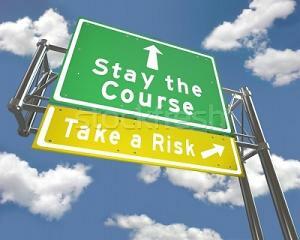 Risk-taking is an important characteristic of good leadership. This game helps participants assess themselves and understand the elements of risk-taking. 2. The general tendency is for people to work on their own, or to choose their friends or people who think like them to work with. The risk is low and the result is always limited. 3. The debrief - of this training game - after the groups have presented the solutions to the case is to assess the innovativeness of the solutions, the number of them that each group has, and the quality of these solutions. Match these findings with the debrief on risk-taking as given below. The relationship of the leader to his group. Are they the leader's friends? If the leader has chosen his/her friends, then s/he has tried to play safe. 5. The questions to seek answers for at the end of the training game.